(CBS/AP) MORRISTOWN, N.J. - A New Jersey woman who sent a text message to her boyfriend cannot be held liable for a car crash he caused while responding to the message. A judge made that decision Friday in state Superior Court in Morris County. A lawyer for David and Linda Kubert had argued that text messages from Shannon Colonna to Kyle Best played a role in a 2009 wreck that cost his clients their legs. 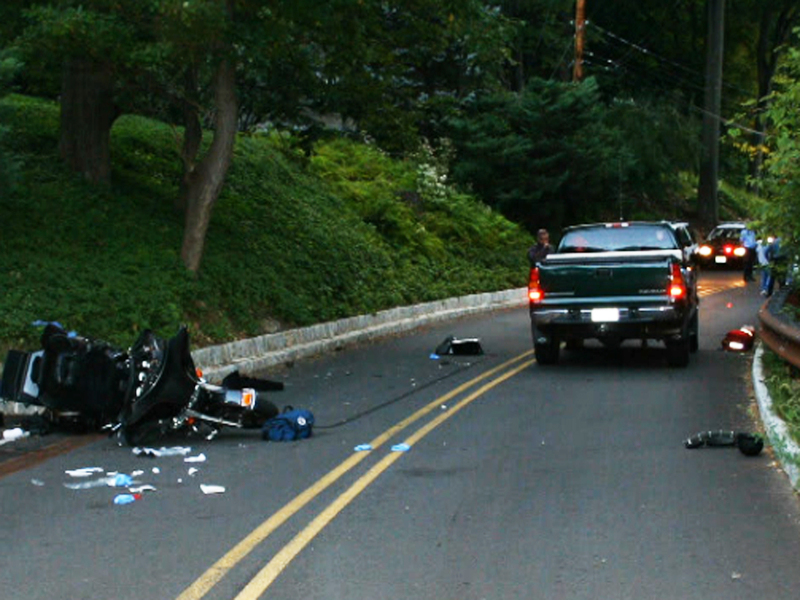 On September 21, 2009, the Kuberts were riding their motorcycle in Mine Hill, N.J. A Chevy truck swerved across the center line and hit them head-on. David Kubert said as the truck approach he could see the driver "steering with his elbows, with his head down. And I could tell he was text messaging." Both Kuberts were seriously injured when Best crashed into their motorcycle. David Kubert had his left leg torn off above the knee, while Linda Kubert eventually had her left leg amputated. "This is a senseless crash that didn't have to happen," David Kubert told CBS News correspondent Mark Strassmann. But Colonna's lawyer said she had no control over when Best would read and respond to the message. The case is believed to be the first of its kind in the country. Kyle Best, then 18, pleaded guilty to three motor vehicle violations, including using a handheld device while driving. The Kuberts are now suing him for civil damages as a distracted driver, and in a novel twist also sued his girlfriend for sending him text messages while he was driving, thus distracting him. Phone records show they exchanged 62 texts that day. Skippy Weinstein, the Kuberts' lawyer, argues Colonna was "electronically present" in the crash. He says she should have known Best was driving home as they exchanged text messages leading up to the crash. She says she "may have known" he was driving. "What I find interesting was her testimony at depositions was that she answered by saying, 'This is what teenagers do,'" Weinstein said. Thirty-eight states have banned texting behind the wheel. Government statistics say 24 percent of vehicle crashes can be attributed to phone use while driving.